Parker Design can design and develop a wide range of 2D and 3D motion graphics solutions to fit your needs. To help you immediately connect with viewers, we create unique visual experiences that communicate your message to audiences in ways that may not be possible through traditional video. From even the simplest brand elements – such as colour palettes, logos and fonts – our video animation production team can help you create content that’s engaging and effective. We work closely with you to identify your core message, using design and digital editing to shape it into a compelling animated story that resonates with audiences. From storyboard to final cut, our team can guide you through each stage of the process and deliver visually compelling motion graphics for websites, social media, events, marketing tools and employee communications. For more examples of work from our in-house production team, please visit our video production section. Following a historic year of achievements for AstraZeneca, we helped them celebrate their success with a 12-minute annual review animation which, despite its length, engaged employees worldwide thanks to a polished and dynamic style. Aiming to maximise their investment in three major industry shows, DAI commissioned an exhibition animation to help them distill the complexity of their processes, and draw visitors into the stand. This graduate recruitment animation exudes positivity, energy and the potential of what's yet to come for ambitious graduates, acting as a beacon at busy career fairs. How do you remind 16,000 employees across over 250 locations of the importance of GDPR? With an internal communications campaign that creates impact without shock, is colourful, fun and yet professional, and at all times focused on achieving compliance with zero exceptions. Thanks to our expertise in motion graphics and employee engagement initiatives, we produced an animation that helped AstraZeneca communicate the importance of doing the right thing. Our content and employee engagement teams worked closely with AstraZeneca to develop motion graphics that transmitted the importance of managing, securing, protecting and preserving data to make the right decisions in the interest of patients and the company as a whole. From simple CAD drawings, our content creation and video production teams delivered engaging motion graphics that helped showcase our client’s latest respiratory drug delivery technology at a major industry conference. We've helped Sage create a wide range of content for Accountex over the years, including this informative series of motion graphics. Created by Parker Design's animation production team, it effectively promotes in-stand seminars to event attendees. We understand the power of engaging presentation design, effective content creation and seamless video production. We helped Sage demonstrate the future of financial software to more than 5,000 professionals at a major industry event by combining stunning motion graphics with compelling live video. We used motion graphics and engaging infographic design to help N8 highlight the findings of their economic impact report. The effective animation made key data memorable and easy for viewers to understand. In preparation for the launch of their new online investment tool, our client asked us for disruptive video content creation to educate and entertain users about the service. Using clever motion graphics, we created 'Robi' – your intelligent investor. Content creation that improves the customer experience and maximises response from the start: animation effects, strong typography and bespoke illustration make for engaging web content that makes what could have easily been just another corporate website instantly more exciting and engaging. In order to reduce the number of enquiries to their customer services department, DRL asked us to produce a series of over 120 short flash animations with motion graphics to explain key terminology and features for the products sold on their e-commerce sites. Don Whitley Scientific manufacture and distribute the MACS MG500 anaerobic workstation worldwide. We created an interactive product guide, featuring helpful animations and motion graphics to make the content compelling and easy to understand. 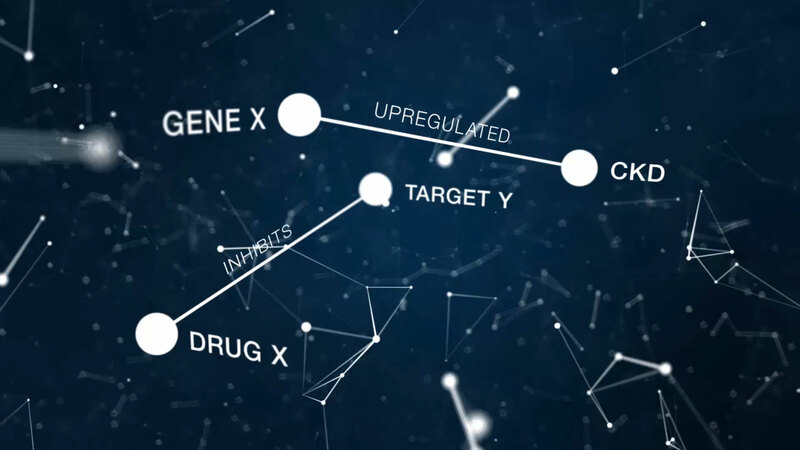 Using high-quality motion graphics, our production team created an animated presentation design to highlight the key findings of AstraZeneca's Innovation Survey. As part of AstraZeneca’s BrandWISE awareness campaign, we produced a short pharmaceutical video about the type 2 diabetes drug Onglyza that featured infographic design and motion graphics.